Monday, May 21, 2018, 12:30 – 1:30 p.m. 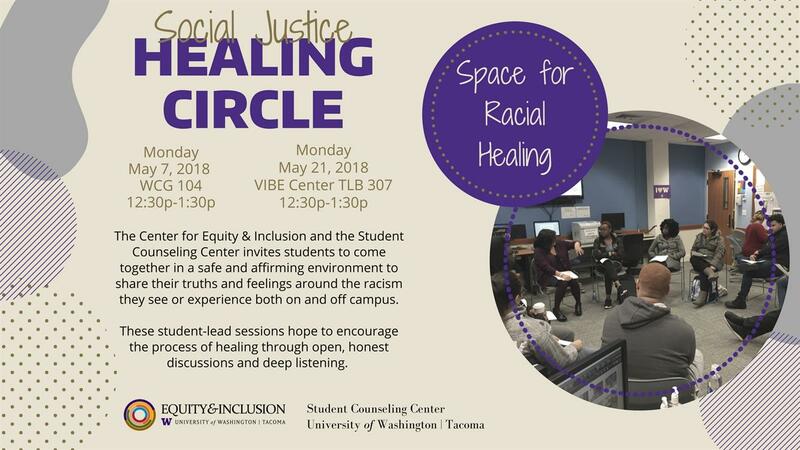 The Center for Equity & Inclusion and the Student Counseling Center invites students to come together in a safe and affirming environment to share their truths and feelings around the racism they see or experience both on and off campus. These student-lead sessions hope to encourage the process of healing through open, honest discussions and deep listening.